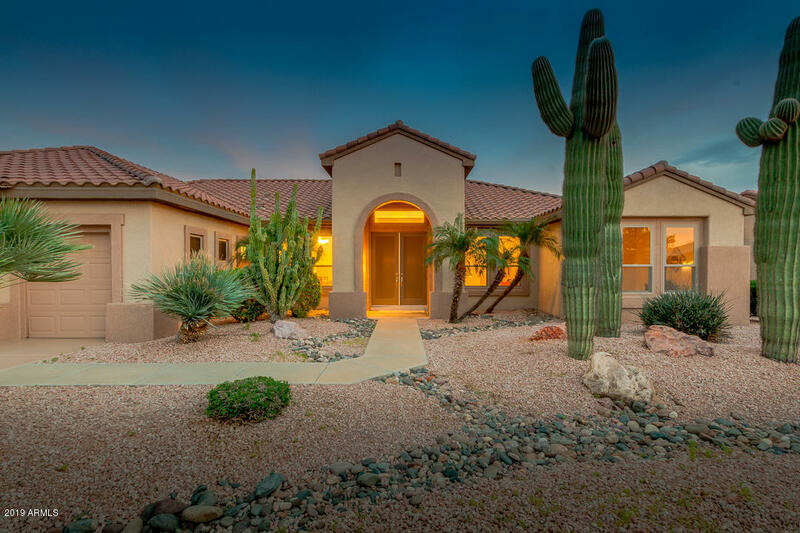 All SUN CITY GRAND SKYVIEW homes currently listed for sale in Surprise as of 04/23/2019 are shown below. You can change the search criteria at any time by pressing the 'Change Search' button below. "This AMAZING home has a FULLY PAID SOLAR SYSTEM in place to reduce your electric bills. NEW ANDERSON LOW E WINDOWS throughout for ENERGY EFFICIENCY & ALLERGEN REDUCTION! Popular MESQUITE floor plan with 3 Bed /3 Bath. TWO are MASTER SUITES! SPLIT FLOOR PLAN! SOARING CEILINGS! OPEN CONCEPT Kitchen & Family Room! Formal Living Room & Dining Rooms too. The kitchen features a Kitchen Island with Quartz Counters & Mirrored Backsplash w/Undermount Lighting! MAIN MASTER SUITE w/SITTING ROOM! Master ba"
"You must see this special DESERT ROSE! 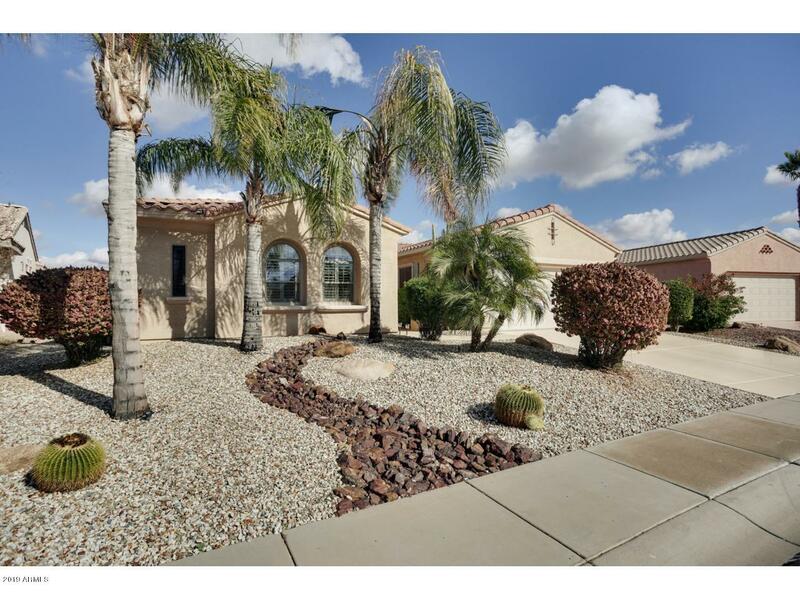 It has a 4 FT EXT'D GARAGE with a large separate GUEST CASITA and sits on a open, yet priv lot! This lovely home has an open greatrm flrplan w/gas fireplace. Large split bedrooms: private master has lg bay & guest bedrm ext'd 4ft! Den has dbl glass door entry. Lg upgr diagonally set tile flows t/o w/upgr carpet in bedrms & den. Spacious island kitchen has lots of cabinets, Corian ctrs, new stainless appls & skylite! Laundry has new washer/dryer & extra cab"